There's no harsher New York reality check than waking up from the dream that is a rent-stabilized lease to the nightmare that is market-rate rent. 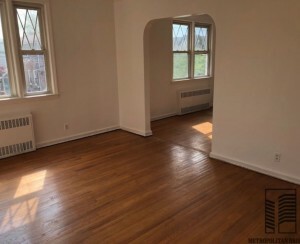 But so it went for a friend of mine who, after nearly six years bunking in a room in a friend's stabilized Fort Greene apartment, is now out hunting for her own one-bedroom, inexperienced at the ways of this market, and armed with higher expectations than your average first-time renter. 1. Is there an especially good time in the month to look, or a point where all the rentals hit the market at once? Landlords and brokers post listings anytime, but it's best to look at the start of the month, since "the most inventory hits the market in the first two weeks of the month," says Philip Lang, co-founder of brokerage Suitey, as apartments empty out when leases end on the 1st. "Generally speaking, the worst time for new inventory is the last week of the month [when leases are about to end]." Also, seasonality plays a big role in the rental market. You'll often find lower prices in the winter, as well as fewer options. Everything usually gets more expensive around spring, with prices climbing to their highest in the summer. 2. I don’t want to meet a strange broker on a dark street corner and visit an unknown apartment together. How do I stay safe? Granted, this can be tough to do if you're using, say, Craigslist as your main search engine, since anyone—regardless of professional affiliations (or lack thereof)—can post a listing. Still, make sure to have a conversation with the broker (or other on-site contact) on the phone prior to your meeting, and arrange to meet somewhere public before you head into that empty apartment together, like the office or a nearby Starbucks. Ask a friend to join you if possible—they can also offer a second opinion about the apartment—always bring your phone with you and let a third party know where you are during showings, recommends Realty Collective agent Amy Mazziotti. 3. How do I know the personal financial information on my application will be safe? Is it OK to black out my social security number, bank account number, etc.? You're not wrong to be skeptical about giving all this personal information to a stranger, but unfortunately, this one's hard to get around. "Landlords require this information for the approval process and for their file 'just in case'," says Arik Lifshitz, a landlord and president of DSA Management, who adds that landlords often have brokers pre-screen clients, so they'll need access to that info, too. "Your information is not secure, or rather no more or less secure than after you apply for a mortgage, car loan, Target credit card or even visit your doctor's office," he says. On the plus side, management companies need to be cleared by a credit agency before being allowed to run credit checks on potential renters. If you're still nervous, you could bring it up with your broker or the landlord to see if it's possible to compromise. "Talk to the landlord and see what they reasonably need," advises Catharine Grad, a tenants' rights lawyer with Grad & Weinraub LLP. "You could offer to give them a separate, single document with all the information they need in one place, so it isn't all floating around." 4. Who should I use as my references? Ideally, your current landlord can give your prospective landlord a sense of what you're like as a tenant. Not an option? "Use personal or business references who have known you for a few years and can attest to you being a stable, responsible person, financially or in other ways," says Realty Collective agent Sandra Manley. The HR representative at your job may be a good option, as could a work supervisor, academic advisor, "or even a long-term family friend," notes Marshall. "If this friend works for a well-known company or has a prestigious position—all the better." 5. My broker is a flake who's made a few big errors—she keeps mistaking my boyfriend for my brother, and she pretended she'd told me the lease was for 15 months when she clearly had not. I was blindsided when she sent it to me to sign. Why do I have to pay her so much money? Where is it going? Does anything feel more futile than getting stuck with a broker's fee of a month's rent just because "that's the way it works in New York"? While that fee—which covers the landlord's costs, the broker's commission, and their agency's commission, depending on the circumstances—is tough to avoid, it should at least buy you some decent service, and a professional who will make the process easier, not harder. Luckily, you don't have to pay the fee until the lease is signed. "If you become frustrated with your broker while still in the process of looking for an apartment, I would simply thank them for their time, and work with somebody else," says Marshall. "Life's too short!" But if you're already in the midst of a deal and problems are rearing their head, she suggests getting in touch with the broker's manager to discuss your concerns. "This doesn't mean that a commission won't be due," she notes, "but it does mean that the manager can help facilitate the transaction and make sure the rest of the process moves smoothly." If you'd like to forego the fee altogether, you'll have to search harder. One upside to New York's hyperactive market is that there are a number of websites devoted to helping renters find apartments sans-fee in the city. 6. How much does the landlord have to clean before I move in? “Every person has a different definition of 'clean'—and landlords are no exception," says Marshall. "Typically, apartments will be delivered 'as is'—free of all the previous tenant’s personal belongings, and with a fresh coat of white paint, all appliances operable, and floors 'broom clean' (in some cases, mopped and polished). Many times, it is up to you to do the more detailed work, like scouring the bathtub and wiping down the inside of kitchen cabinets." A quick note on that phrase "broom clean": this is how most standard leases say you should leave the apartment when you move out—no mopping or scrubbing necessary, but the place needs to be free of garbage, furniture, and other debris. In other words, what you see at the lease signing is what you get, unless you do a little haggling. 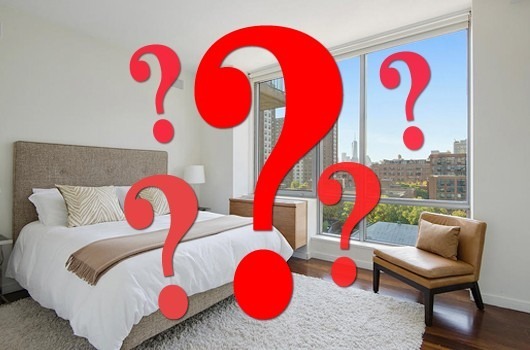 "I would recommend insisting on a clean-up before signing the lease if possible, or including a clause in the lease that the unit will be cleaned prior to move-in," says Lifshitz. 7. My landlord insists that I pay the rent with a certified check every month, which will require me to open a new bank account and pay an $8 fee each time. Is this standard? Can I stop them? Because this isn't a standard request, "the landlord can't require bank checks unless this is already written into your lease," says Grad. Besides the extra expense and hassle, bank checks put you in a bad position if you ever run into a rent dispute down the road; since the bank ends up issuing the check, you have no way of seeing if it's been cashed, which makes tracking your payment history tricky. Instead, see if you and the landlord can find a middle ground. "I'd argue the case with the landlord," adds Marina Higgins, director of leasing at Argo Management. "Unless she has a reason, i.e. you've been bouncing checks, ask to pay electronically or by a debit program. 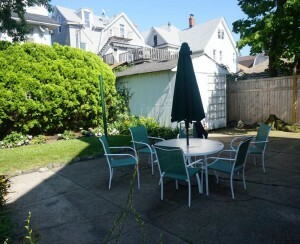 There are plenty of other ways for a landlord to secure rent in a timely manner." 8. My apartment is in a brownstone with only a small lock on the doorknob. Is my landlord obligated to install a deadbolt? This depends in part on building size, but legally, if there are three or more units, Grad points out that your landlord must provide not just a lock in the doorknob, but a "heavy-duty latch set and heavy-duty deadbolt" in addition to a chain lock and peephole, per Housing Maintenance Code. If your building doesn't qualify and you want something heavier duty, you'll likely have to pay for it yourself, though it's worth consulting with your individual landlord about their policies. "Purchase the lock separately and hire your super or a handyman to install it" if you end up doing it yourself, advises Lifshitz. "It will be cheaper than hiring a locksmith." And be prepared to hand over a copy of any extra keys to the super or landlord, who will want them on hand in case of emergencies. 9. How many keys to the building should I get? If I want an extra, do I have to pay for it? Again, this one depends on individual landlord policy (and is probably best negotiated before you sign on the dotted line). 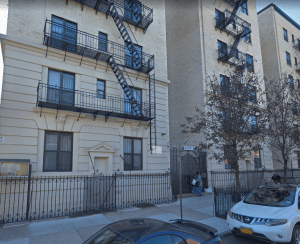 "For non-stabilized tenants there’s nothing out there that requires the landlord [to] give you more than one key to the front door," says Grad, which can cause aggravation. "When you move in, up front, you should insist on more than one key." The landlord can still say no, but they're more likely to be accommodating if you ask when you're still in the negotiation stage. Even if they do agree to the extra key, don't be surprised if you're asked to pay more for it, and to do some explaining. Keys cost money to make, and more importantly, management will want to limit the number of people with access to the building for security purposes. "Some landlords will charge for the extra copies, some do it to make money or recoup their costs, others just as a deterrent so as not to give out extra keys," says Lifshitz. "If a resident approaches us and asks for another key, we want to know where that key is going, and that we’ll get it back," adds Higgins.